In my understanding, and granted it’s been decades since my college Constitutional Law course, that means no one can stop me and demand my “papers” unless there is demonstrable proof that I’m breaking a law. The amount of melanin in skin is not proof of criminal actions. And what is Arizona’s deal with probable cause? It can be as slight as a tail light out or coasting through a stop sign. So I’m still not seeing why it should be such a burden to keep it in place. But better, more informed writers than I am are picking apart the wrong-headedness of Arizona’s recent actions. I come not to bury Arizona, but to praise it. At least the Arizona of my childhood. 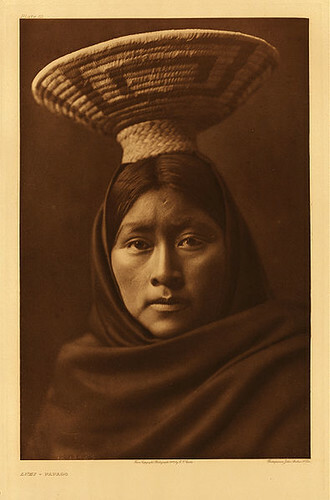 The Tohono O’odham, previously and erroneously known as the Papago, elevated basketry to artwork. I learned about it from a Tohono O’odham classmate. Photo: Edward Curtis, 1905. My Arizona was the, then, dusty little town of Tucson in the late Sixties. It was a place with barely 50 years of statehood and it still had the feel of The Wild West. You were just as likely to see a real Mustang in the hardware store parking lot as you were one of the Ford variety. Bolo tie wearing men never failed to tip their cowboy hats to my mother with a “Howdy Ma’am”. Several kids in my class claimed to have living grandfathers who had been lawmen and saloonkeepers. But as much of an old fashioned cow town as Tucson seemed, it was way ahead of the curve on what is usually called [with a Limbaughian sneer] “multiculturalism”. It helped that I went to school with Hispanic kids, and a variety of Native American kids: Mescalero Apache, Tohono O’odham, Navaho, Pima and Hopi. Most of them had what the framers of the new Arizona school policy would call “heavy accents”. A good portion of them spoke languages other than English at home. Most of them came from families who had been in the area for centuries. There were even girls in prairie dresses and long braided hair who, I now realize, must have come from some sort of fundamentalist Mormon sect. As an Anglo kid from the middle class suburbs, I felt I’d left a tasteful earth-toned world and stepped into a Technicolor wonderland. Heck, even my teacher was an Israeli who had fought in the Six Days War. Talk about an accent! Let me just insert here that I was NOT a sheltered kid. As the child of an Army officer, I’d already lived half a dozen places from Virginia to Alaska to New York and Kansas. My parents were always enthusiastic about exposing us to the culture, foods and sights of every new place we lived. But somehow as a Middle Class family, we always ended up in lily-white suburbs surrounded by other families of professionals. I’d arrived in Arizona from a segregated in-all-but-name Elementary school in the suburbs of Washington, D.C. There were Black kids at the school. A handful of them. They had a separate teacher and classroom, a separate table in the lunchroom. They must have had a separate recess because I never saw them on the playground when we were on it. Or in the bathrooms, for that matter. Again, let me assure you that I did know people of different colors. The Army was one of the first US institutions to desegregate and my father attended West Point and served with fellow officers who were Black. We played and were friends with their kids. Ethnic enclaves? I entered one every summer when I visited my paternal grandparents who lived in a Russian, Polish, Ukrainian neighborhood that might as well have been just south of Kiev. Eastern European languages were spoken on the streets and in the markets. Masses at the local Catholic Church were in Polish and Russian. 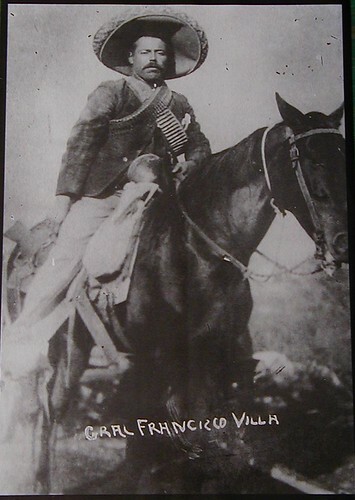 I went to school with kids with living relatives who remembered Pancho Villa. Talk about a history lesson. But there was something special about that Arizona school. Everyone was proud of their heritage and encouraged to share it. I don’t know if this was stated school policy. Or if my teacher just had a hard time looking out at all those brown faces and the kids with medicine pouches around their necks and teaching American History as if people like them hadn’t been involved in it. Whatever the reason, the dreaded [cue Limbaughian sneer] multiculturalism ran rampant. In the lunchroom, the cooks hand rolled tortillas. Tamales, frijoles and Navajo fry bread appeared as often on the menu as hot dogs. Arizona wake up! 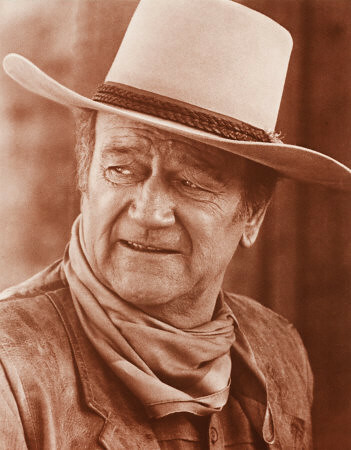 Even John Wayne was a fan of multiculturalism. 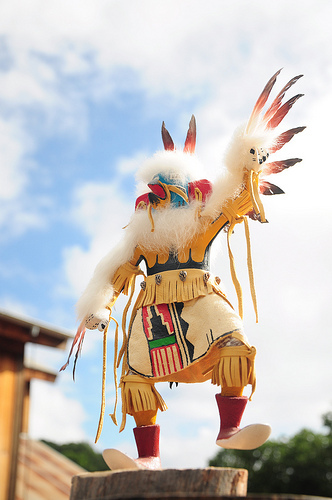 He only married Hispanic women and he had a museum-quality collection of Hopi Kachinas. So what was the effect of all this multiculturalism? First of all, no kid felt like a second class citizen. There were no brown faces relegated to separate lunch tables and classrooms. I know the extreme Right likes to hint that multiculturalism and ethnic studies are, at best, some sort of entitlement program for the benefit of those who refuse to assimilate and, at worst, a hotbed of anti-Americanism. But most of the kids in my class were already living a multicultural existence. Many were of blended ancestry or lived in ethnically mixed neighborhoods. So guess who got the most out of the program? Yup, the Anglo kid previously from the White Suburbs. Reading about history, different cultures and foods is one thing. Rubbing up against it every day is quite another. From being a studious kid interested in learning new things, I became a passionate omnivorous learner. I couldn’t get enough of hearing new words in different languages, talking with people who had backgrounds different than mine and discovering new ways that other people looked at the world. It was a turning point in my life. If knowledge is power, my Arizona gave me powerful tools for learning. And folks, ya can’t get that from a textbook. You need to hear the voices, walk in the moccasins and smell the frijoles, if you know what I’m saying. So thanks, Arizona. What a gift you gave me. I weep for the Arizona school kids of today and the future who will not receive that gift. Those sheltered Anglo kids who will soon be barricaded in gated, ethnically cleansed communities free of the “contaminating” influence of other cultural attitudes. Those are your kids, Arizona lawmakers. You’re robbing ’em. Thank you, thank you, thank you. The Arizona spiral has had me so furious, but I was beginning to think that every horse person in the blog-o-sphere was of similar mind. Some time ago (a post on my blog from January 13) I wrote about speaking Spanish after a co-worker told me that only illegals speak Spanish. The response to my reposting of that essay on line was eye opening, and disheartening. When the first red headed, freckled face American with a nice mid west accent gets stopped and handcuffed for not having his birth certificate, I’ll bite my tongue. Until then I feel quite confident in saying we know what all this is about. (You can see the first American citizen who was handcuffed for not carrying his birth certificate – yes, that was his crime – by searching on YouTube for Young Turks and Arizona). Anyway, thanks for this wonderfully written piece. I hope some sort of rational thought returns to Arizona. I read your beautiful essay. You made some wonderful points about why your family keeps speaking Spanish — through many fully bilingual generations. Just remember, some of us don’t have your advantages and are struggling through night school trying to learn Spanish. Imperfecto and Preterito are really confusing me. They also are lucky enough to be taught understanding of cultural differences and I love it. Being myself from another country of origin, I truly appreciate how lucky we all are. I hope Arizona will come back to its senses and give back its children, the rich tapestry of cultures you got to enjoy as a child. Immersion is still the best way to learn language and culture. I can remember feeling sorry for my Army brat friend in college because he had moved around so much. Later I was totally jealous of my daughter’s high school boyfriend who had done the same thing but in different places. Wonderful piece, Lisa, thank you needing to write it. I have my eye on what looks to be a wonderful program in the City of Oaxaca associated with the University there. You take classes in the morning, then have two hour “conversation” appointments with Mexican students. You’d think just walking down to SF’s Mission district or Sonoma’s West Side would be enough of an immersion. But no one wants to correct my Spanish. And there isn’t much to correct when the conversation is “cerveza, por favor”. 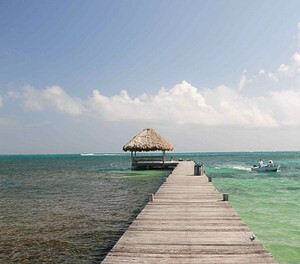 I hope you do get to go to Oaxaca and be “other” for a while and soak it up. FWIW Arizona will always BE multicultural and kids learn all the time. It is human nature. Unless they are totally isolated from their surroundings, and I know that is possible, cross cultural teaching and learning happens. I never forget a Molly Ivins insight. I forget which piece it was from but the gist was that all Southern liberals (of her generation) came out of the same experience. Once you figured out that the adults were lying about race, everything was open to questions. Human children are difficult to fool, especially at close quarters. Great point, Kathy. I just worry that when Whites barricade themselves into gated communities, harass and chase the Hispanics out of their neighborhoods and public areas and ban all accents and mention of Hispanic and Native American achievement in schools, well, their kids don’t have any of that contact on which to form their own opinions. I hear you. Fortunately these people often need domestic help of some kind and practice outrageous hiprocrisy. And, young people will push limits. Often in healthy ways. It is so sad to me to see the country that called itself a melting pot running with fear & stupidity from what made it great. I am officially VERY much in love with you. Can I come hang out with you at your ranch and eat frijoles? This is incredibly well written. Thank you!!!!!!!!! Good thing I got the king sized industrial-strength slow cooker. All are welcome for Two Terrier Frijoles. But only if they sign the Multi-Culti pledge!